Blueberry Boy Bait. That’s a catchy name. hehe, pun intended 😉 I haven’t tried to snag anyone with this yummy cake but perhaps it’s worth a try if their stomach is a path to their heart. But even if your intentions aren’t to capture the love of your life, this is a sweet recipe to bake and serve up anytime. 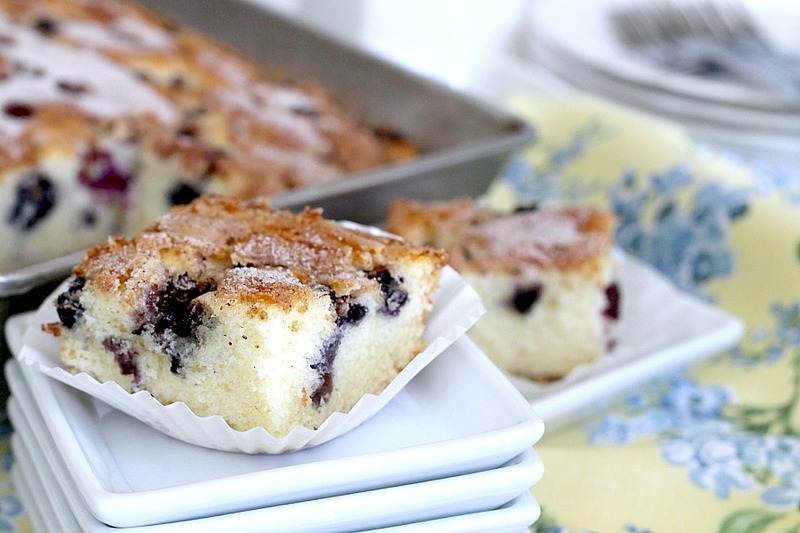 Blueberry Boy Bait is one of those recipes I keep close at hand for several reasons. I guess that is why I’ve been making it for decades. It takes very little preparation time. Really just a one bowl cake. Place ingredient in the mixer bowl and mix for a few minutes, spread in pan and sprinkle on blueberries and then cinnamon sugar topping. Bake and there you have it. 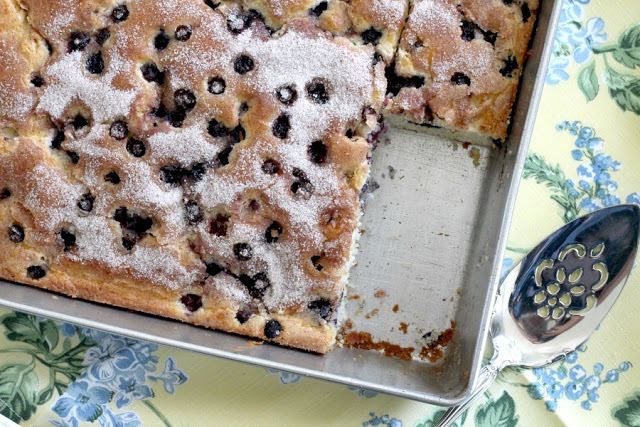 A light and fluffy cake studded with plump blueberries and a crackly crust. 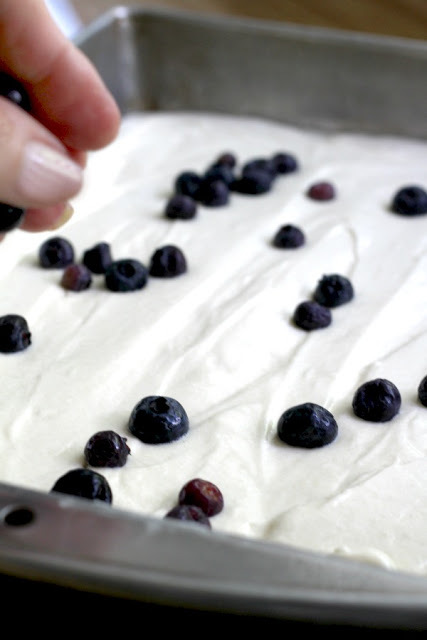 As the story goes from an old Pillsbury cookbook, Blueberry Boy Bait was first prepared for a junior division of a Pillsbury baking contest way back in 1954. A young girl, just 15 years old at the time, created it and placed second in the contest, naming it for its habit-forming effect on young men. 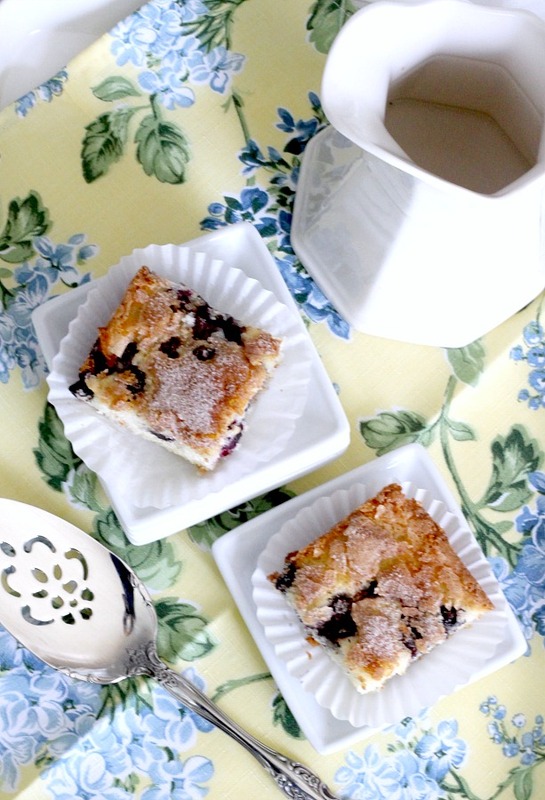 I caught my prince without Blueberry Boy Bait finding the recipe early in our marriage. Just maybe, having made it may times through the years, it has helped us reach 41 years together. Well, at least it has made snacking and breakfast times extra tasty. I like this recipe too, because others like it. 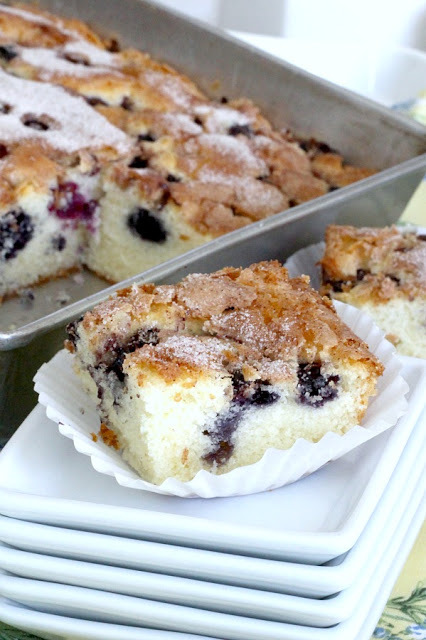 It is rather unassuming in appearance but then when I serve it, as if surprised, I get a comment, “Oh, this is good!” And, that is the main reason I love Blueberry Boy Bait. Give it a try and I think you will be pleased too. 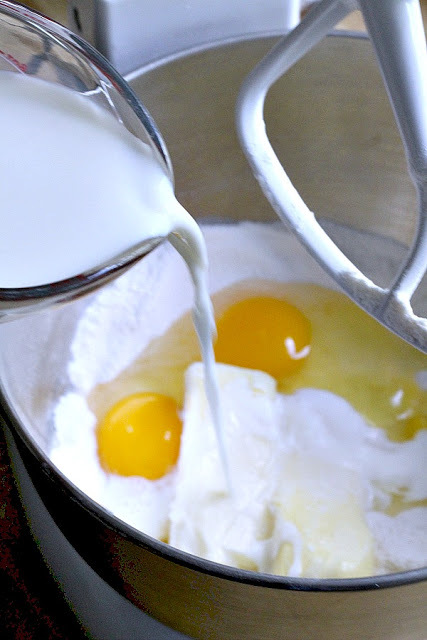 After adding the dry ingredients I give the mixer a whirl to combine before adding the wet ingredients. It isn’t essential, it is just something I do to make sure it comes out perfect each time. 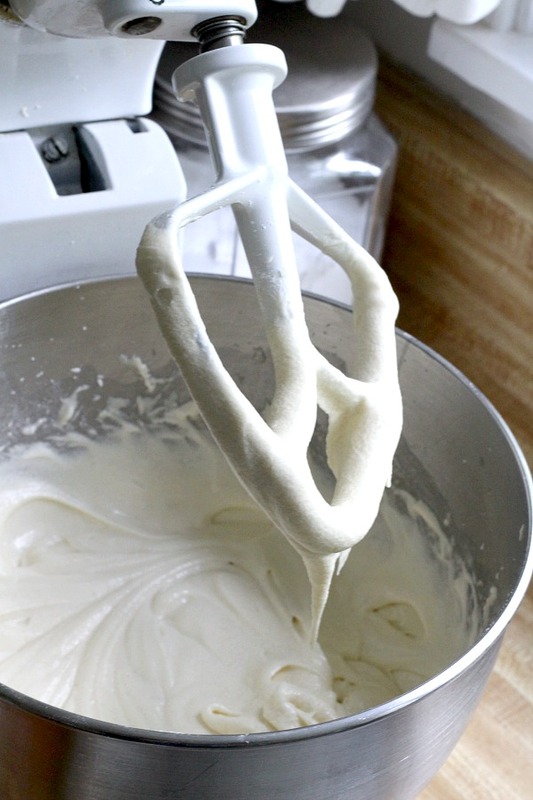 After three minutes the batter is ready. 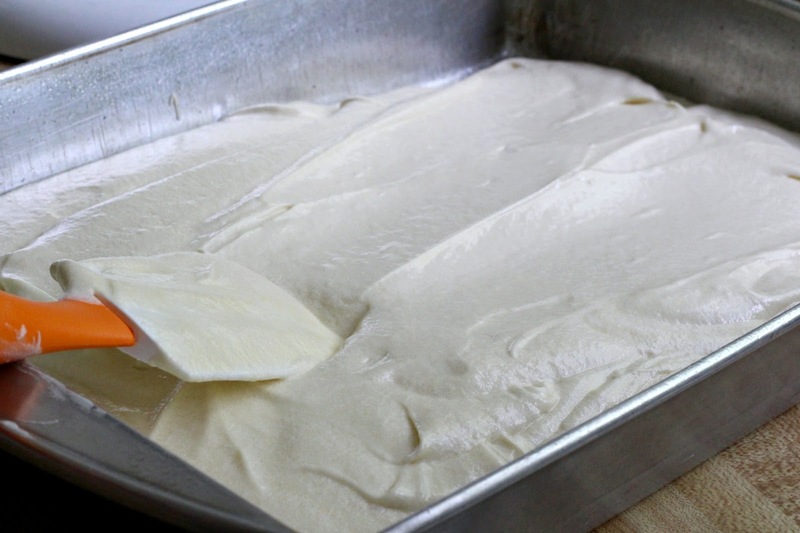 Spread into a greased or sprayed 9 x 13-inch pan. 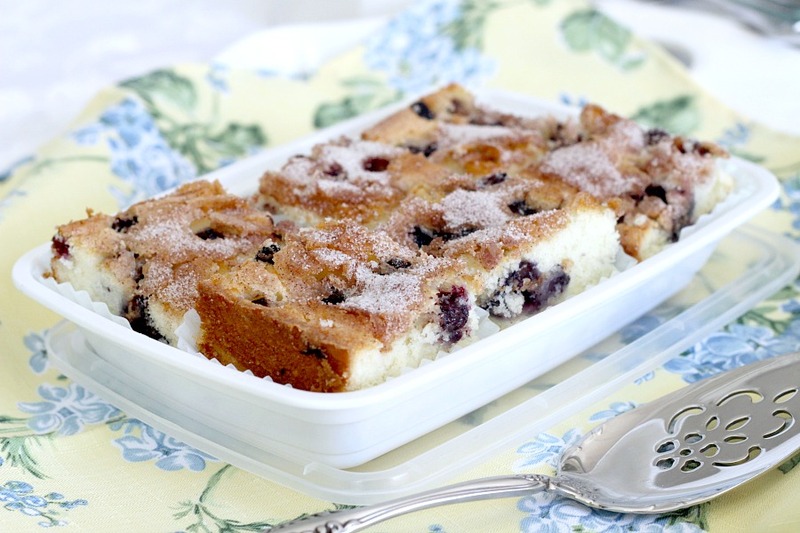 Top with fresh or frozen blueberries. The recipe says 1-cup but I add more. Lots more. 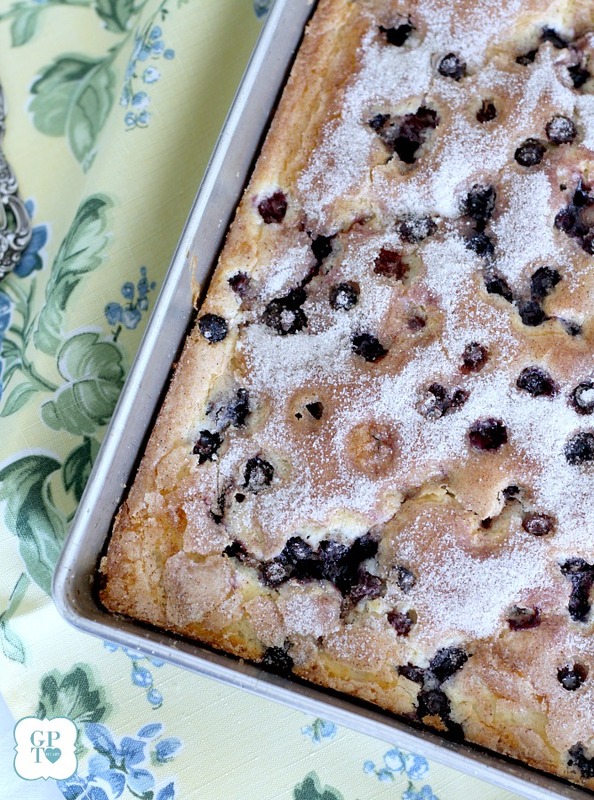 Oh, and this cake is just as wonderful with other berries. We used to have a thorn-less blackberry bush that produced the BIGGEST berries. But after several years, the berries got smaller and fewer and we got finally rid of it. That was sad. The cinnamon sugar sprinkled on the top adds a bit more sweetness and creates a nice, lightly-crunchy top on the cake. Blueberry Boy Bait freezes really well. Slice into serving-size pieces and store in a freezer-safe container. Or, share with a friend. My husband took some to work for a colleague and his wife. Lekker! Delicious and great GREAT photos. 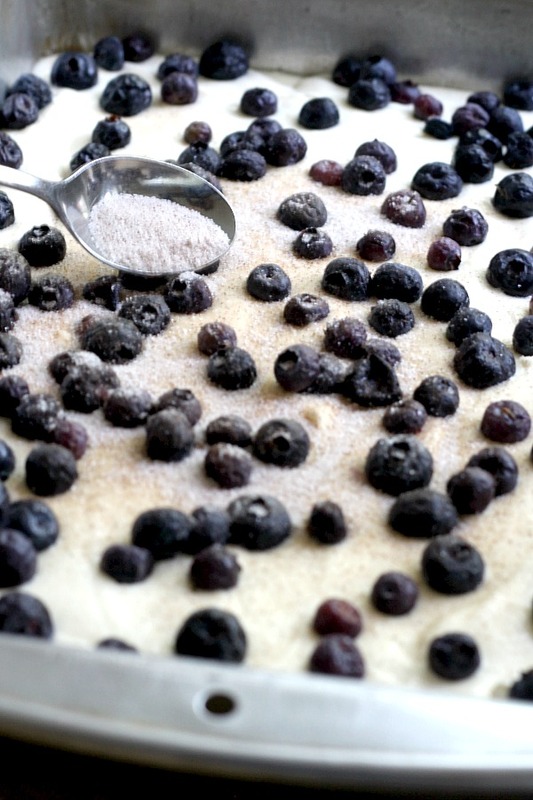 Oh, I love all things blueberries and will be making this very soon. You always post such wonderful recipes. Blessings!